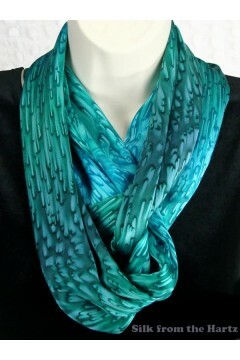 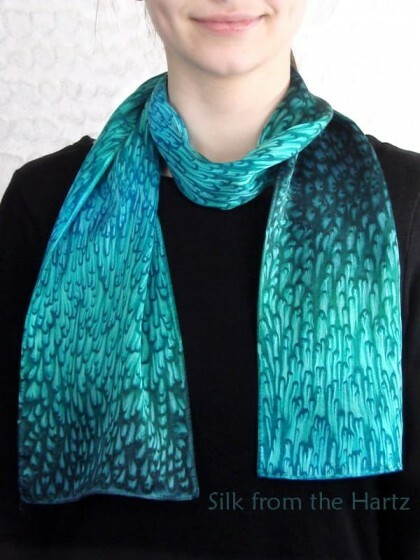 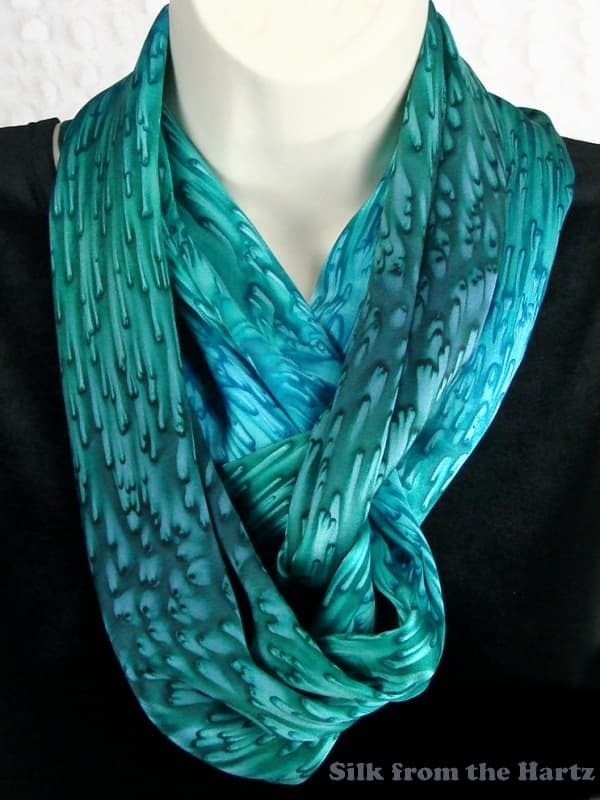 Turquoise and teal green design looks great on anyone. 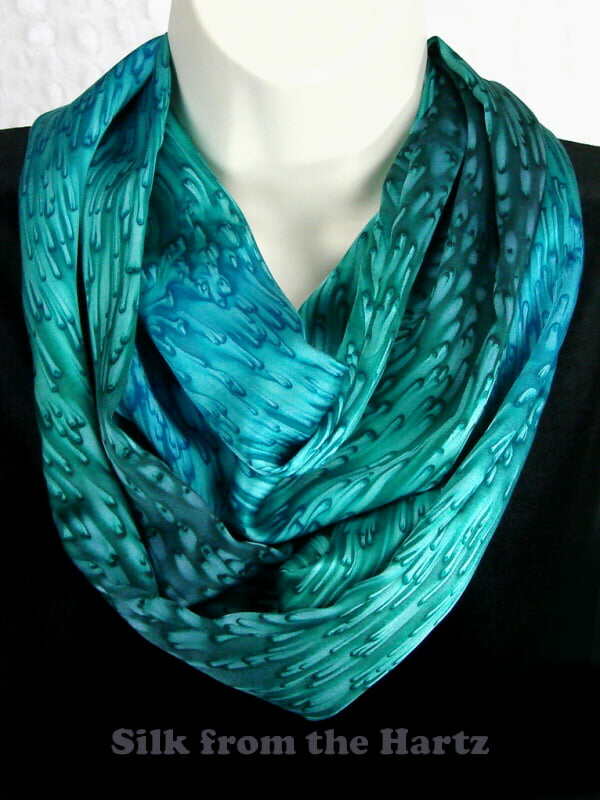 Soft silk satin infinity or circle scarf is comfortable around the neck, and may be worn simply looped around twice, or with a twist or two. 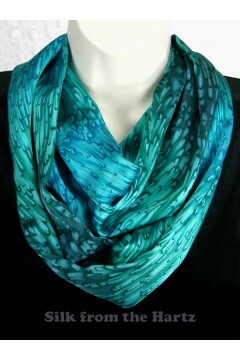 Won't blow off in the wind! 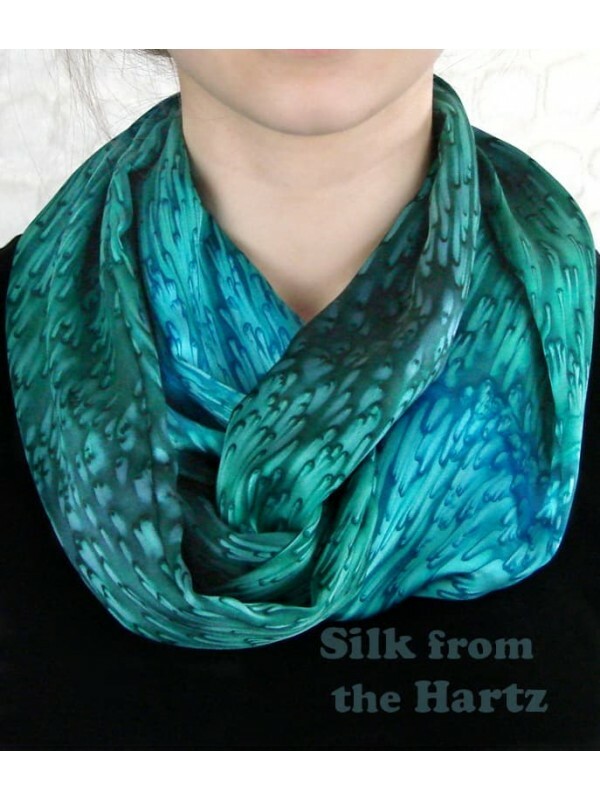 Each of our silk infinity scarves is hand dyed by Warren Hartz, the artist, and sewn by Edie, his wife in Washington State, USA. 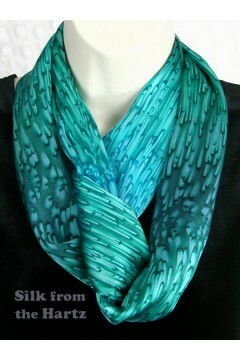 Fine quality silk from China is stretched on a hand made wood frame. 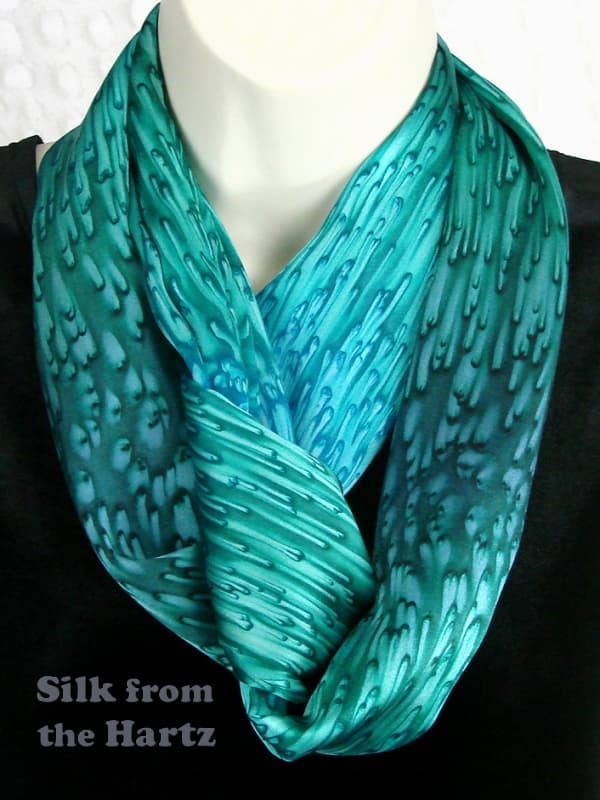 Dyes are blended on with Sumi brushes, and salt is sprinkled evenly while dyes are still wet, creating an appealing raindrop pattern as it dries. 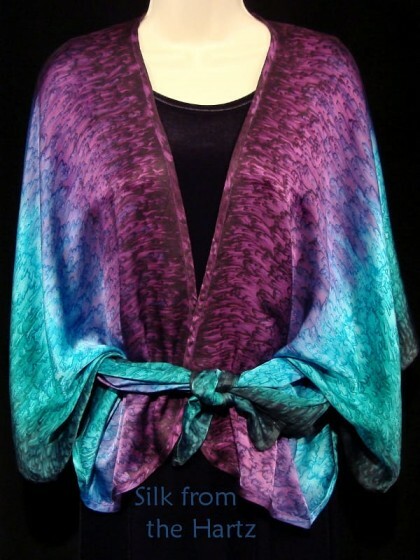 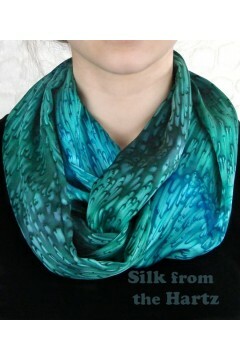 Popular Peacock Colors Blue, purple and green grace this elegant hand dyed silk satin wrap. 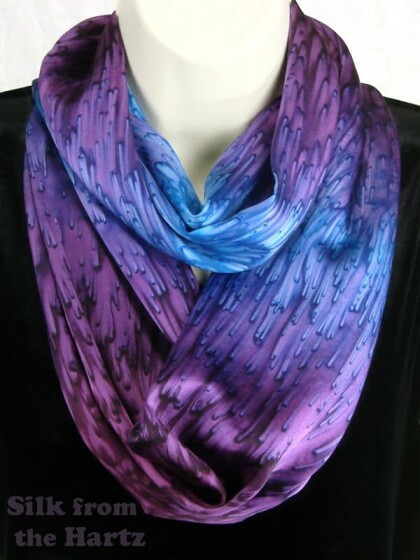 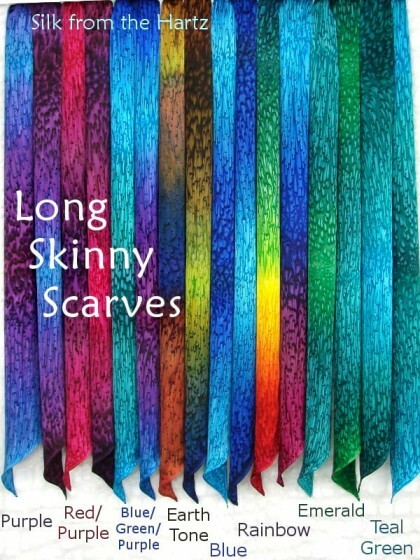 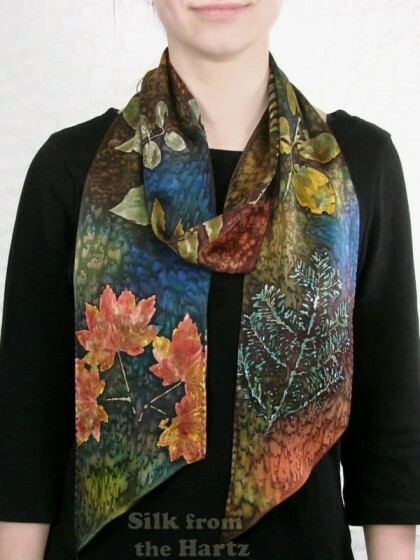 Wet dyes painted on ..
5" x 72" Narrow Silk Satin Scarf This extra long skinny scarf can be worn many ways, around the neck or as..